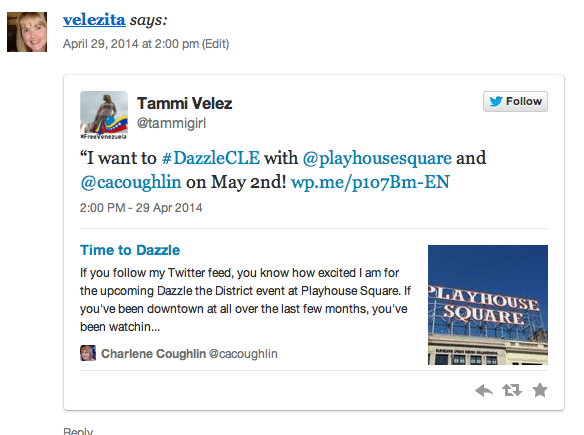 Congrats to the winner of the Dazzle the District Giveaway! Please email me with your address to claim your swag bag. And don’t forget – the lighting of the GE Chandelier is only a couple days away! This entry was posted in Uncategorized and tagged DazzleCLE, Entertainment, Friendship, Overheard in the Workplace, Playhouse Square. Bookmark the permalink.